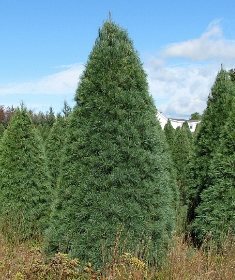 The long, soft needles of the White Pine give it a pristine full look. 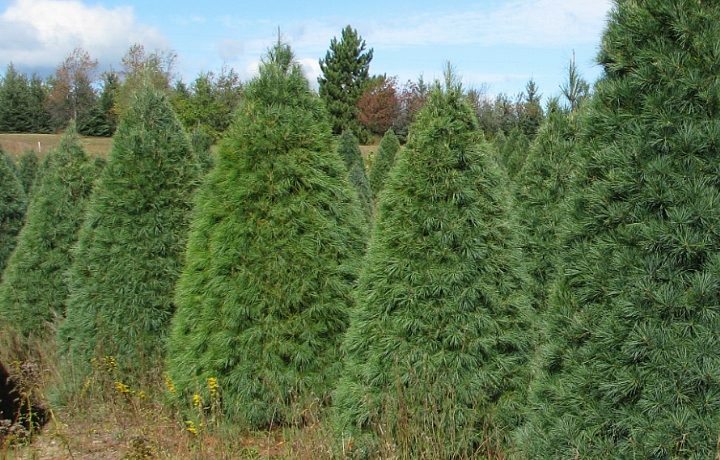 For Christmas trees, sheared trees are preferred, although some people feel shearing results in trees too dense for larger ornaments. Needle retention is good to excellent. White pine has very little aroma, but, conversely, is reported to result in fewer allergic reactions than do some of the more aromatic species. 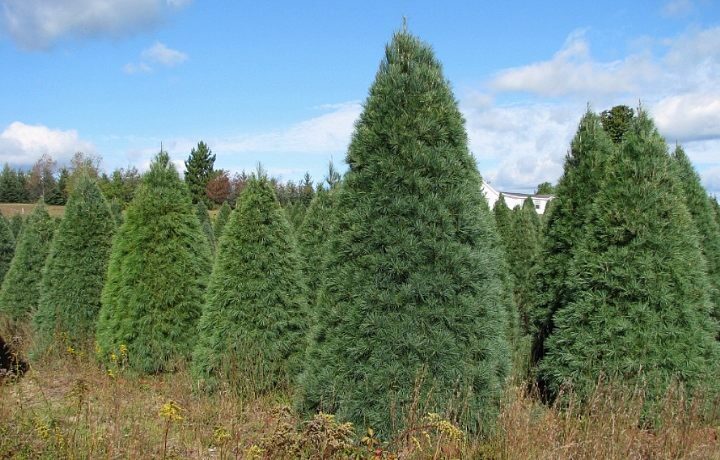 When used in a landscape white pine trees are fairly tolerant to adverse environmental conditions. It thrives in loamy acidic conditions, but will grow under less desirable situations. 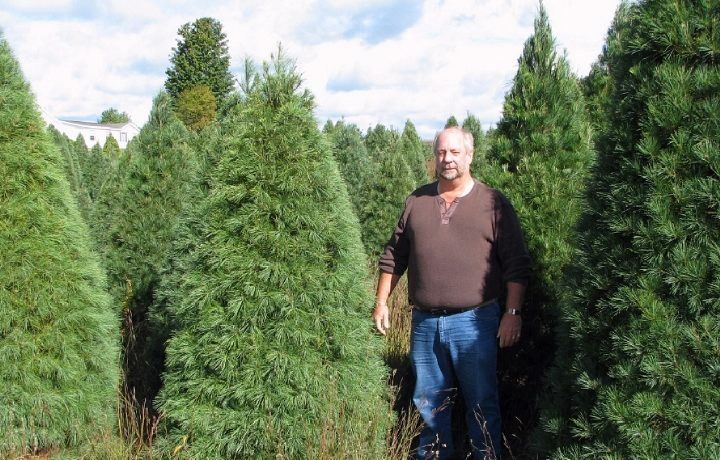 A mature tree attains a height of 100' and its growth rate compared to other pines is rapid.